Neringa ( pronunciation ) or Neringa Municipality (Lithuanian: Neringos savivaldybė) is a municipality of Klaipėda County in westernmost Lithuania, comprising several villages in the Curonian Spit. In terms of population, it is the smallest municipality of the county. The average wage in Neringa municipality was €12,000 ($14,000), yearly (before tax) or €9,000 ($10,000), yearly (after tax) in 2015. Neringa municipality has the highest wage rate in Lithuania. Higher even than Vilnius municipality. The name of the city is relatively new and is not found in old scriptures in this form. 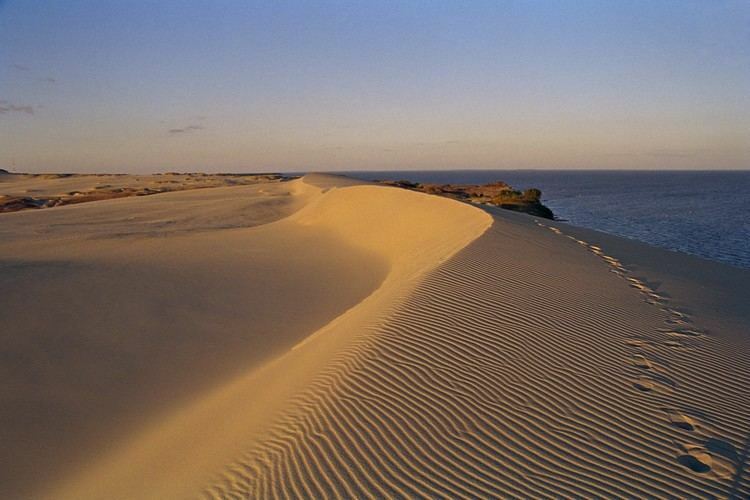 The name is derived from a German word Neringe, Nerunge, Nehrung which itself is a derivative of a curonian word nerija meaning a long peninsular spit. Until the 2000 Lithuanian municipality reform, it was known as Neringa City, although there was never a true "city" there. It was made a city in the Soviet Union in 1961 by formally combining 4 settlements into one administrative unit. Neringa is located south of Klaipėda, separated from the mainland Lithuania by Curonian Lagoon. While there is no bridge, it is still accessible from the mainland by ferry only. the eldership of Preila and Pervalka. They are tourist resorts and by then it was popular to grant more self-government to resorts. The municipality is the only one in Lithuania which is not called after a town or city. The name Neringa was created at Soviet time for the new city municipality. Neringa belonged to the former south-curonian landscapes Pilsaten and Lamotina. Since 1252 the region was under the rule of various German governments, starting with the Teutonic Knights and later Prussia and Germany. Already in 1569 a "confusion of languages" was noticed: German, Lithuanian, Latvian-Curonian (Nehrungs-Kurisch) and Prussian. Nehrungs-kurisch was the language of the fishers. The colours of the typical houses are handed down from the pagan religion and symbolize Divinities: Earth (brown), Sky and Water (blue), Clouds and Spray (white). At the top two crossed "zirgs" (horse heads). The census of 1897 showed that about 60% used the Curonian language, on sea even 65%. In 1923, when sovereignty over the spit came to Lithuania, the inhabitants had problems with their nationality. Only few opted for Lithuania, many emigrated to Germany and others stayed as German "resident foreigners" in their villages. The result of the census of 1956: 59% Lithuanians, 21% Russians and only 15% (22 families) of the autochtone inhabitants. The Coat of Arms from the year 1968 shows the black and white symbols of the Klaipėda Region, Kurenwimpel, Nida, Lithuania, Preila, Pervalka, Juodkrantė, Purvinė. The N stands for the new name.